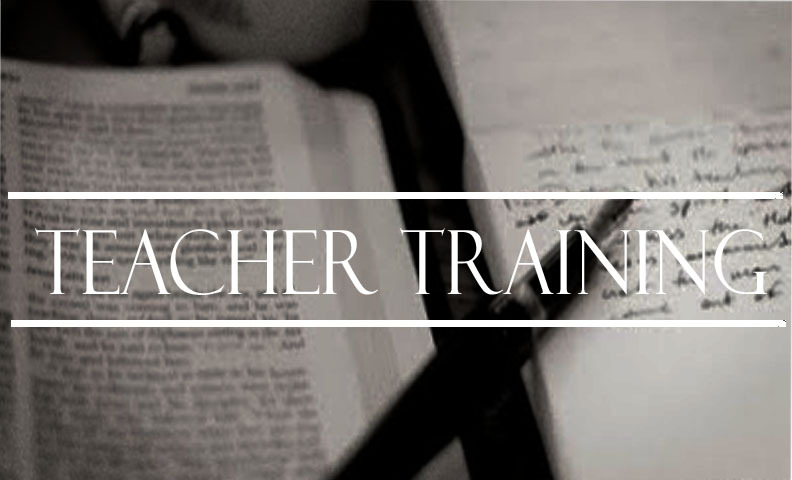 It is our goal and commitment to train our teachers how to teach directly from God’s word with confidence. To accomplish this, our teachers meet every Wednesday evening (Running mid August – April) from 5:30 p.m. to 6:30 p.m.. During this time, they work through the following five questions concerning the passage which they are to teach within the next couple of weeks (see Wednesday “Sunday” School). What is the main idea of the passage? What, in a sentence is the passage saying? How would you defend your view of the main point? In other words, what is in the passage that caused you to come up with your main point? How does this passage fit into the flow of the book (from which the passage was taken) as a whole? What unique contribution does it make to the book and how does it further our understanding of the writer’s argument as a whole? How does this passage fit into the flow of the Bible’s history and message? In what way does this passage anticipate or speak of Christ? What does this passage have to say to the group I am teaching in the 21st century? In one sentence, explain what you are attempting to get across to the Listener. Our teachers are trained in how to use the exegetical and doctrinal related tools to answer these questions and are aided in crafting age appropriate lesson plans for the various classes they are teaching. We believe that teacher training enables us to teach our children not only the content of the Bible directly, but to impart to them the reformation belief that God’s people can (and must) be able to read and understand the Bible for themselves.